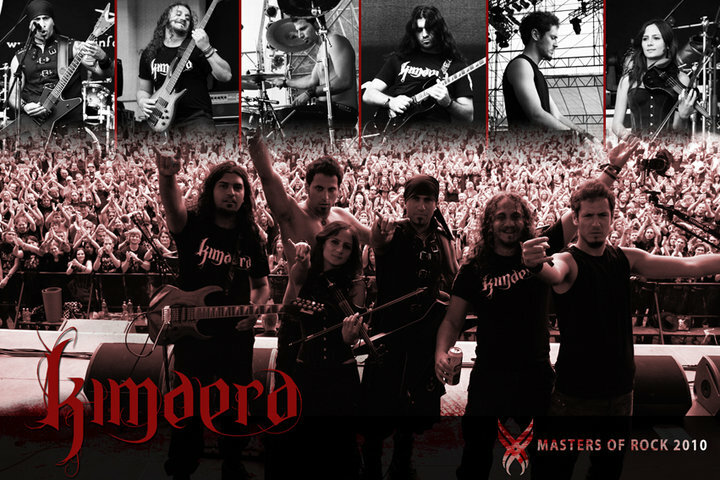 KIMAERA is among the first wave of international metal bands originating from the Middle East, and more specifically the Arab world. They have been described as the "Lebanese ambassadors of doom" and have helped put Lebanon on the map of the metal world. KIMAERA was founded back in summer 2000 by Vocalist/Guitarist JP, under the name ´Chimera´ . The band makes original music with a distinctive style coming across as a combination of the members´ different and various influences into a mixture of Symphonic/Atmospheric/Doom/Death Metal, with gothic undertones, resounding through melodic interludes of violins, pianos and occasional female vocals The music´s graceful diffusion throughout so many genres is a hallmark defining KIMAERA´s style. KIMAERA´s history is riddled with unfortunate circumstances that led to many setbacks on their path of getting recognition abroad. Everything, ranging from immigrating members, war and terrorism, to tyrannical censorship. However, despite all of these unforgiving conditions, KIMAERA has released their second opus of Doom entitled Solitary Impact, with their first official music video of the track ´The Taste of Treason´, under the same label Stygiancrypt Productions. KIMAERA´s first show and live appearance in Europe was in MASTERS OF ROCK 2010, headlined by MANOWAR in Czech Rep. in July. MOR was a success. It introduced KIMAERA to the international scene and were described as the ´black horse´, and ´the most pleasant surprise of the festival´.